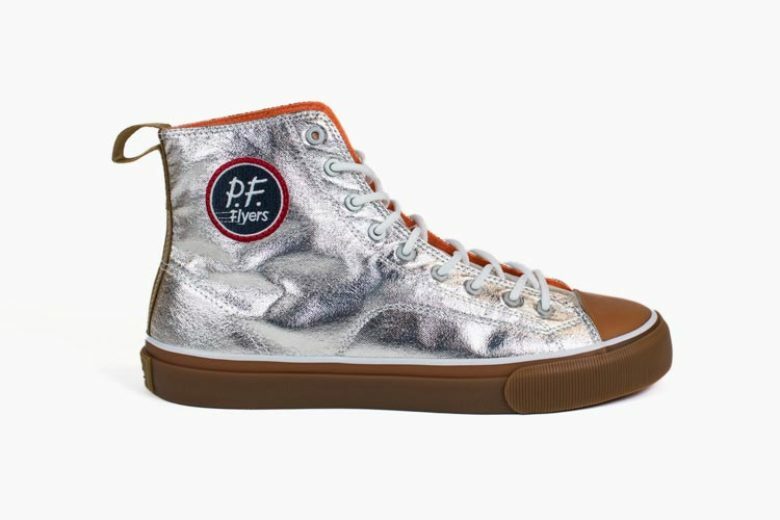 News is reaching us from across the Pond that our mates at Heddels are announcing their latest collaborative product release, the Mercury All American, a shoe made in partnership with PF Flyers. This is to mark the 60th anniversary of the launch of the NASA Mercury Space Program which ushered in the Space Age and changed the world forever. 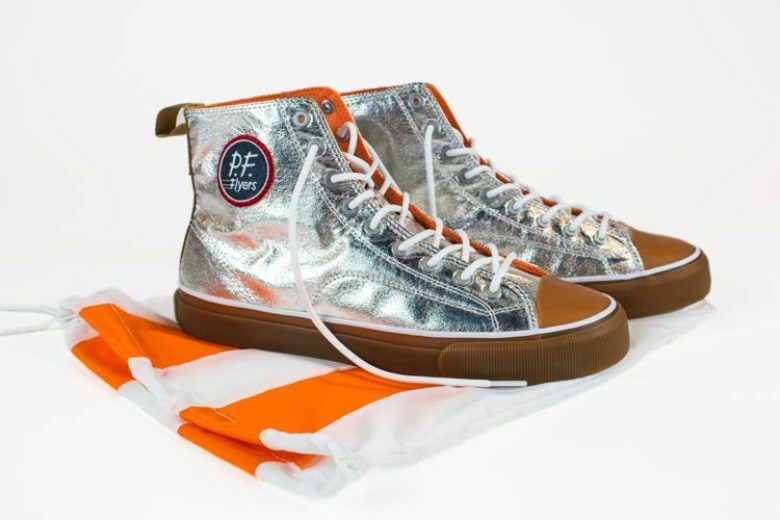 PF Flyers’s original parent company, B.F. Goodrich, produced the astronaut spacesuits for Project Mercury (1958-1963), NASA’s first manned space program. 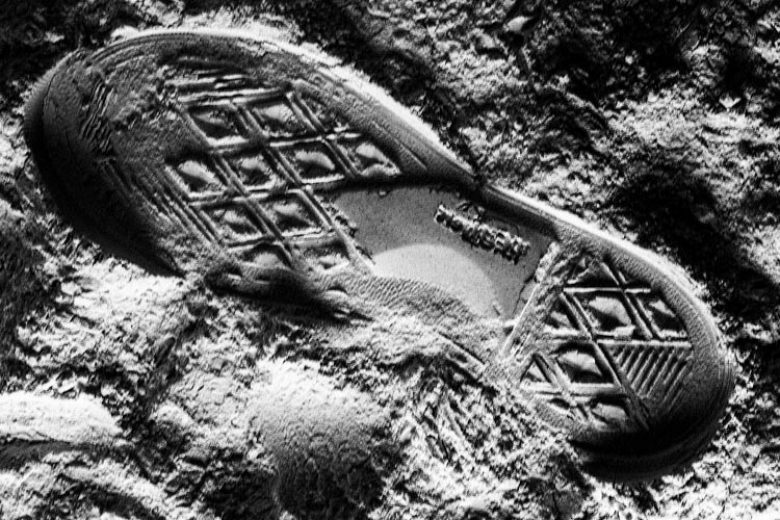 The Mercury 7 Astronauts – including John Glenn, Alan Shepard, and Gus Grissom – also wore PF Flyers athletic shoes during ground training missions. 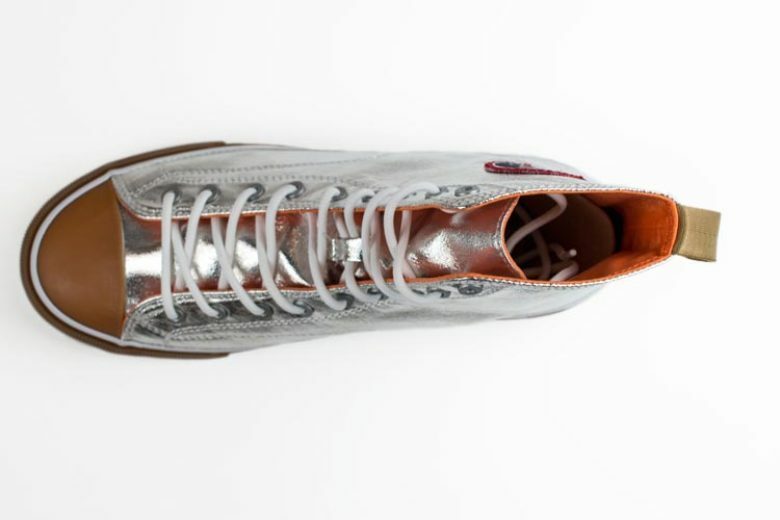 To commemorate the 60th anniversary of Project Mercury, the Mercury All American incorporates the spec materials used by NASA into a shoe silhouette similar to those worn by Mercury astronauts in training. 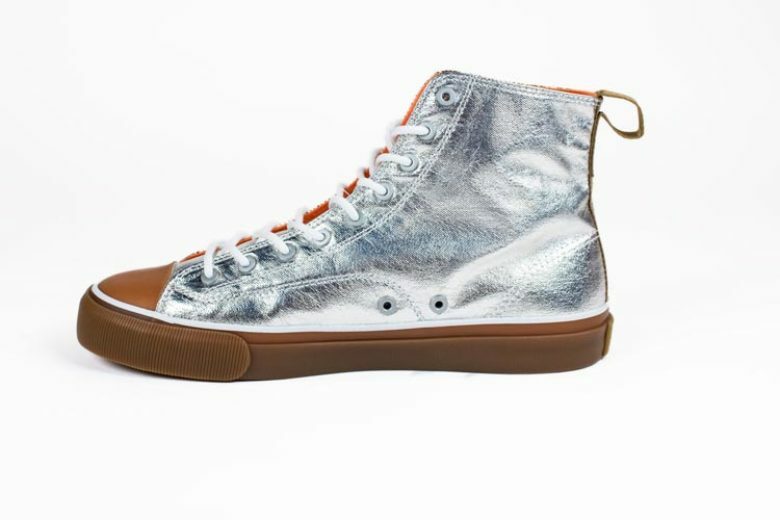 The high top sneaker features an aluminised nomex nylon upper (akin to the original spacesuit), which is heat resistant to 1650°C which means that, if you die in a fireball, your mates will still have your precious footwear to remember you by. Well, at least most of it. 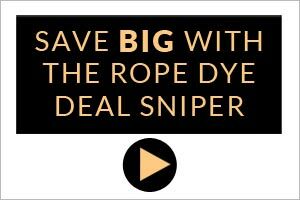 They also sport nickel-alloy eyelets like the material used on the Mercury space capsule, a hi-vis orange lining, a heel pull-tab, and paracord laces. 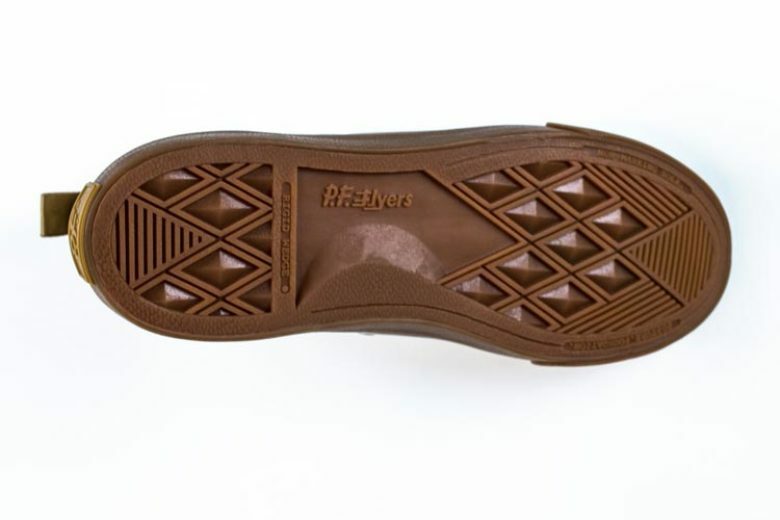 (Seriously, not all the materials are heat resistant so do not expose your shoes to extreme heat). 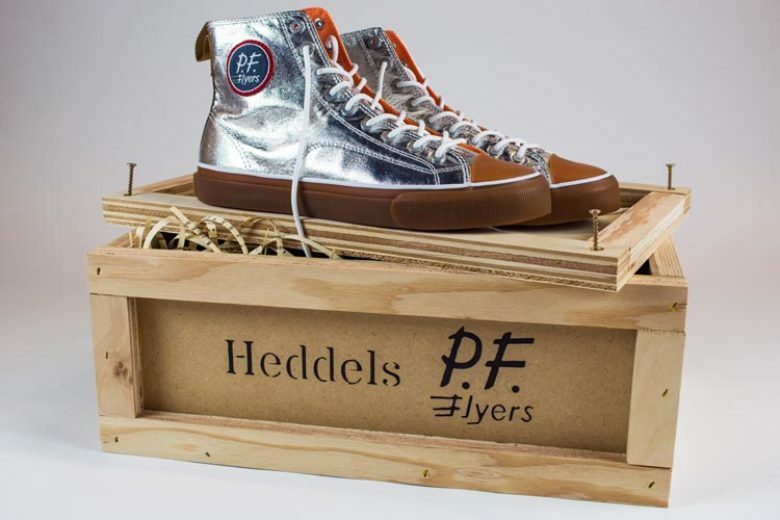 Shoes will come with a parachute fabric shoe bag, informational pamphlet and ship in a sturdy wooden crate. 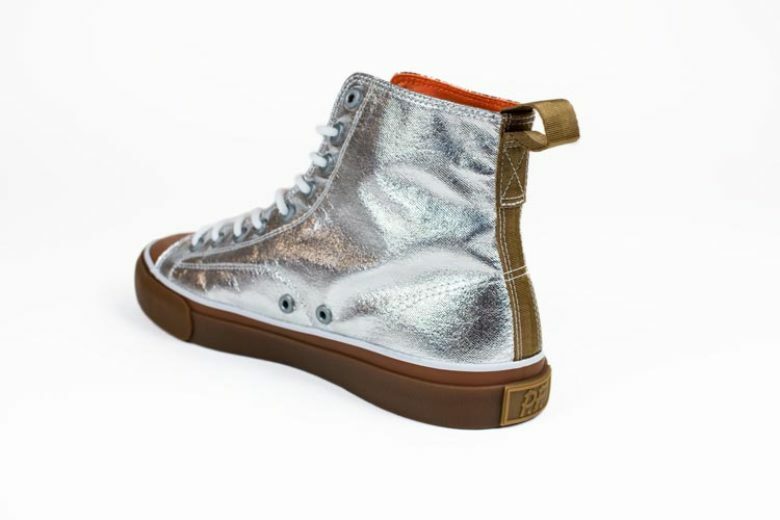 Only 21 pairs were produced – the same number of spacesuits in the Mercury program – and are available exclusively at the Heddels Shop for $380. 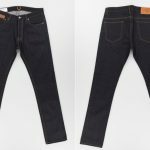 Availability will be determined by a free raffle which will only be open from February 5 to February 11, so get your skates on if you want to snag a pair. 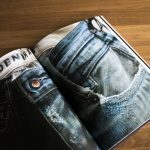 A random drawing of 21 entries on February 12 will be eligible for purchase.